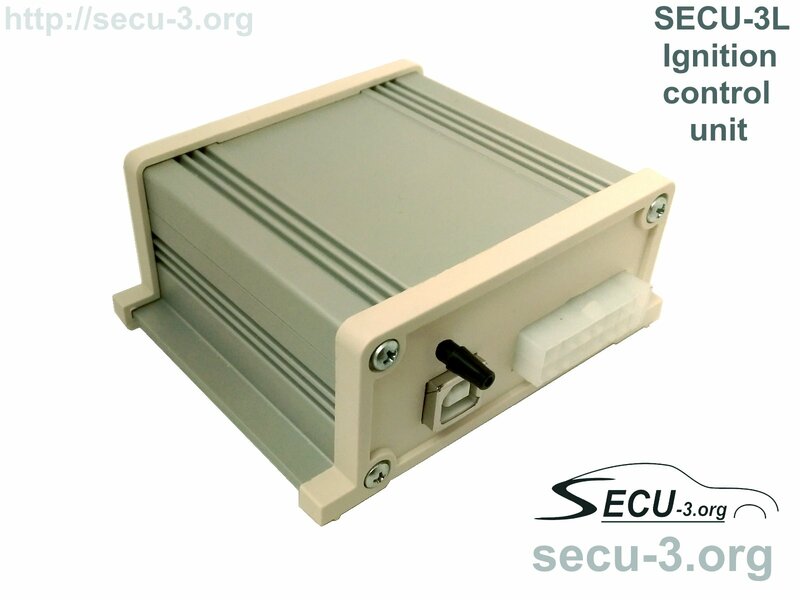 Discussing SECU-3 Lite ignition control unit. 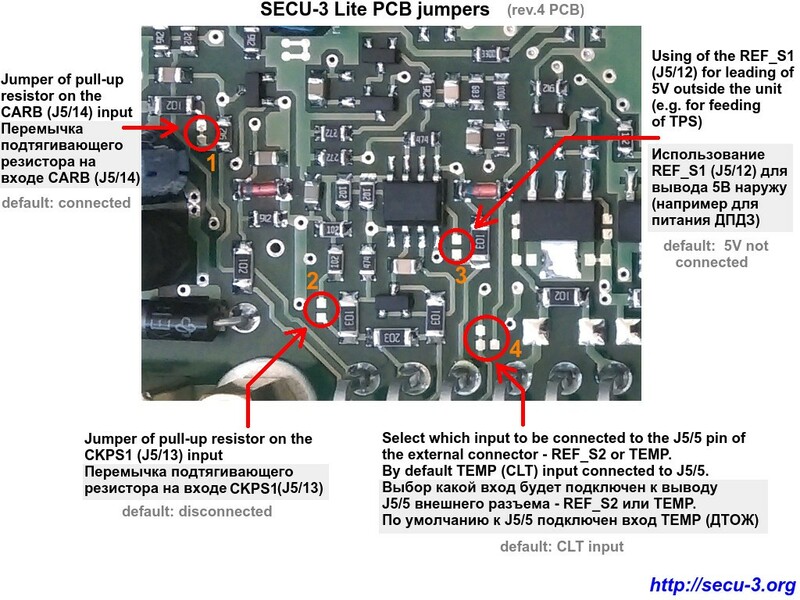 It is cheap, simple and ignition-only ECU with embedded MAP sensor and coil drivers (BIP373). 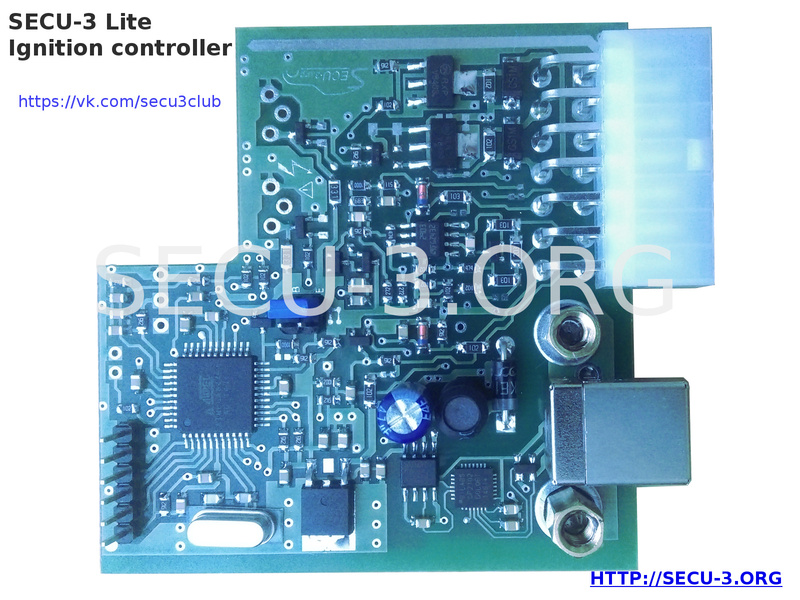 SECU-3 Lite units are available for ordering. Only 60$. 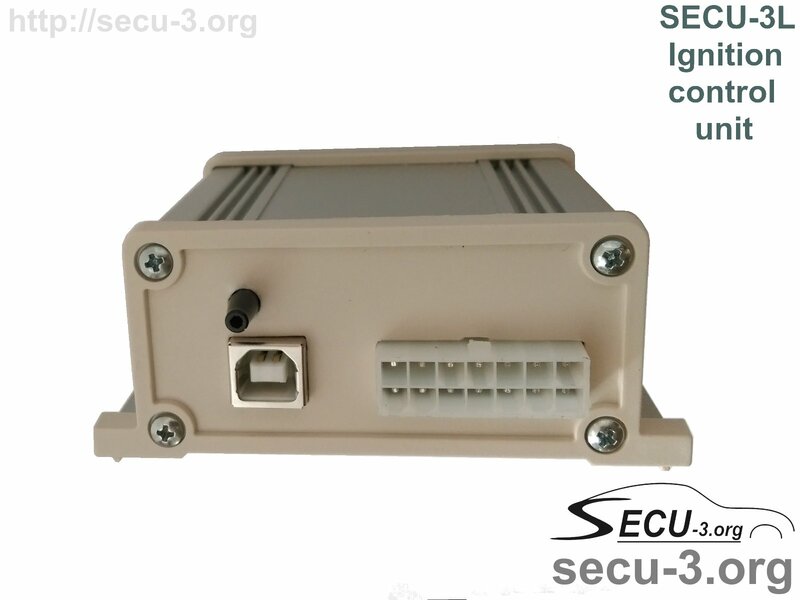 We can send SECU-3 Lite to USA, Russia and other countries. To place on order, please write to order@secu-3.org. NOTE that some cheaters try to fabricate SECU-3 units or pass slightly modified versions as own developments thus violating my author rights! Be careful! 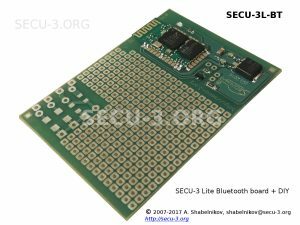 Bluetooth board for SECU-3 Lite unit with DIY polygon. 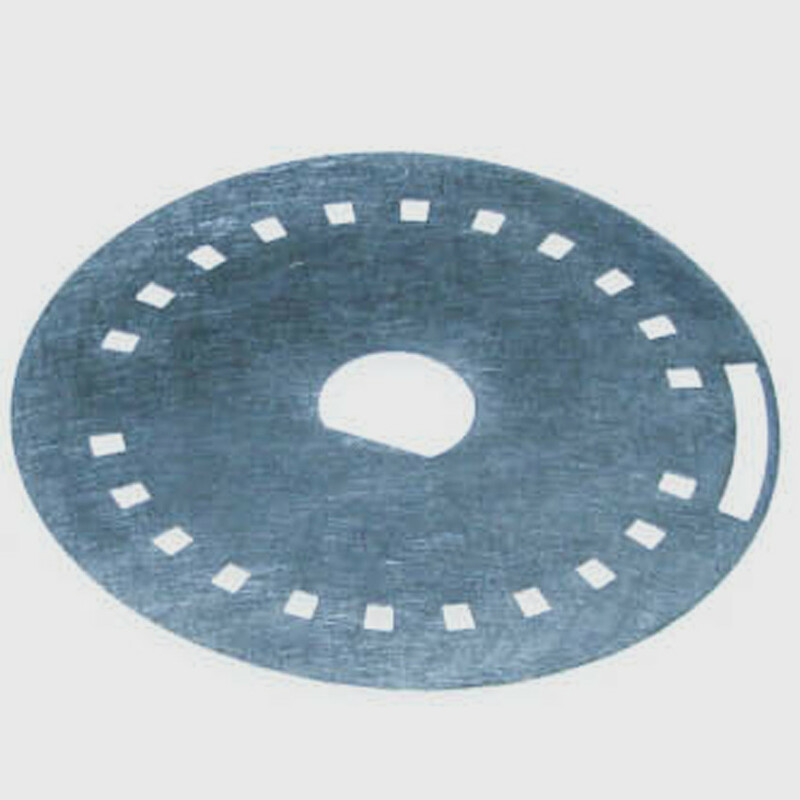 Some optional components for connecting of a tachometer are also here. 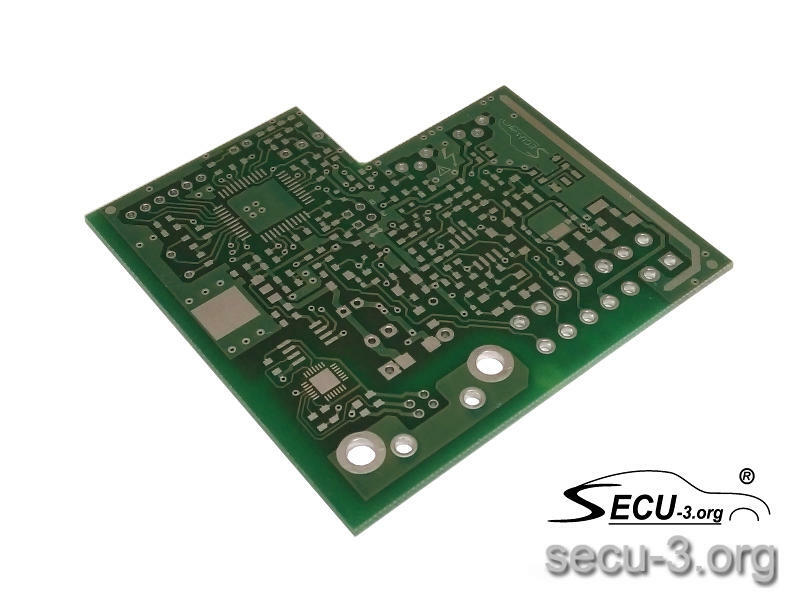 Bare PCB for SECU-3 Lite. 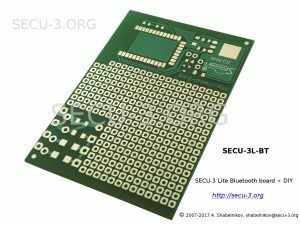 Hello, I would like to use SECU-3 Lite unit to run Tatra V8 engine with eight pole VR sensor in distributor. (distributor with cancelled centrifugal and pneumatic advance regulator). Please do you think its possible ? As I tried to check firmware and I found only Hall sensor version of distributor. I would like to use dwell control as well. 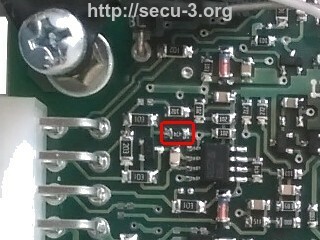 Strecek wrote: Hello, I would like to use SECU-3 Lite unit to run Tatra V8 engine with eight pole VR sensor in distributor. (distributor with cancelled centrifugal and pneumatic advance regulator). Yes, it possible. You should connect your VR sensor to CKPSx inputs and use firmware for Hall (and use high voltage distributor). Also, you may need to solder 100k instead of default 470k (resistor R32). It may be necessary if your sensor is too sensitive. I'm looking to convert Nissan SR20DE engine to carburetors. Do you have any experience with Nissan CAS optical sensor which is located in distributor? Could SECU-3 use its position signal? It doesn't matter which type of sensor used - VR, Hall, Optical. The configuration of trigger wheel is important. Trigger wheel shown on the picture has 2 sequences of 12-1 teeth and 1 gap for determination of 1-st cylinder for full sequential operation (2 sensors). 2 x 12-1 plus gap for full sequential operation.